Only 3 Element Series will be up at a time. Ice Series will be removed once the next Series is released after Light. 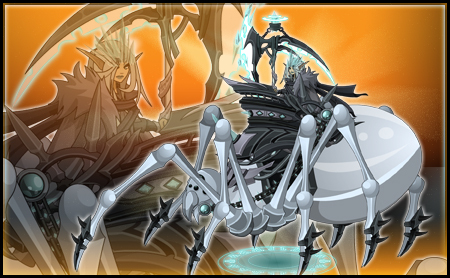 All basic elemental series will be re-introduced into a seasonal rotation. Character suggestion contest is set for next week. There will be a separate contest for art and story. Stay tuned for more details! Bi-Weekly Releases has Officially Begun! Although, bi-weekly releases has offcially started we have a mini release for you! If you remember, a couple weeks ago Rev entered a photo contest to try to win the prize. With your support he got more than enough votes to win. Although, the contest has yet to officially announce the winner, we all could see he was 500+ votes ahead of all the other entries. So as promised, Rainbowtheus will be released for FREE! 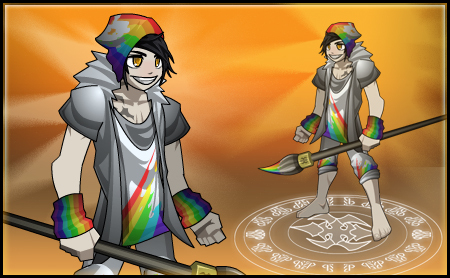 Grab him in the character shop now and use your Rainbow powers! He'll be removed this Tuesday! hork fort area with a 75 spawn. The Frost Queen Legendary form is LIVE! The team is going through some major changs this week. The Oversoul team's time is being split to help on multiple projects. Although, this new change was a surprise to the team, it's a required step to get the company moving towards it's goals as a whole. As a result, Oversoul will soon move to a bi-weekly release. More details in the coming weeks. Stay tuned! Next week we should have the Shadow Series deck ready for launch. The stun bug that locked you down while the computer proceeded to kill you seems to be addresses. It seems the game engine must have developed a mind of it's own and hacked players preventing them from attacking. Card Packs. Each time you purchase from the Card Series you will randomly be given 5 cards from the series. SoulGem Packs have more chances to get rare cards. Equipping Cards: You may equip up to 5 extra cards from card series for use in battle by clicking on the cards in the list. Your equipped cards are shown in the slots at the bottom of the screen. Battle: These cards are mixed in with your character cards in battle. 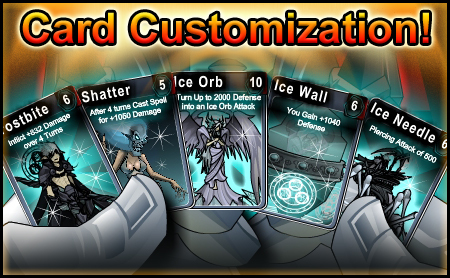 They are separate from your character's cards and are used with any character you have equipped. Give us your take on the forums and post your ideas as well!